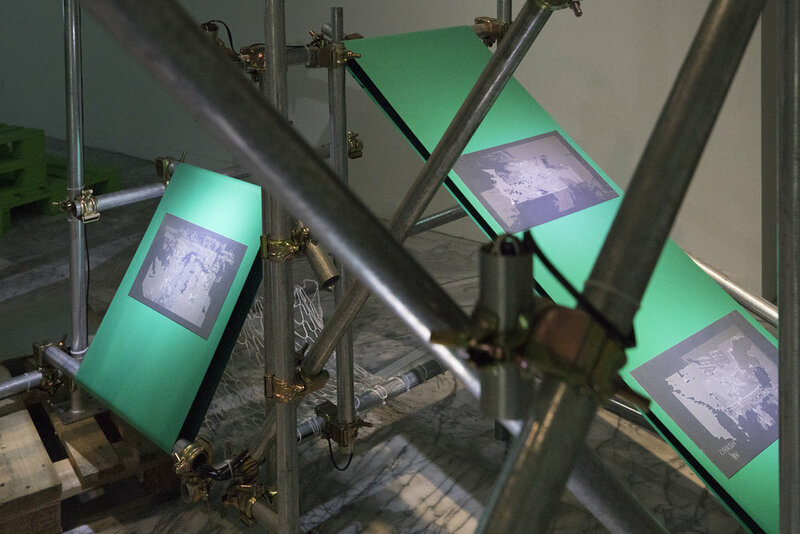 By adopting the photolithography process used in IC manufacture, found footage of airplane crashing and video recordings while cellphone falling are recycled and xed onto aluminum plates. After the events of fall- ing and crashing, these found footage continue to circu- late on the Internet; forever re-editing, recompressing and pixelating, they have become more than just rep- resentation of the events but the debris of audio-visual industry. 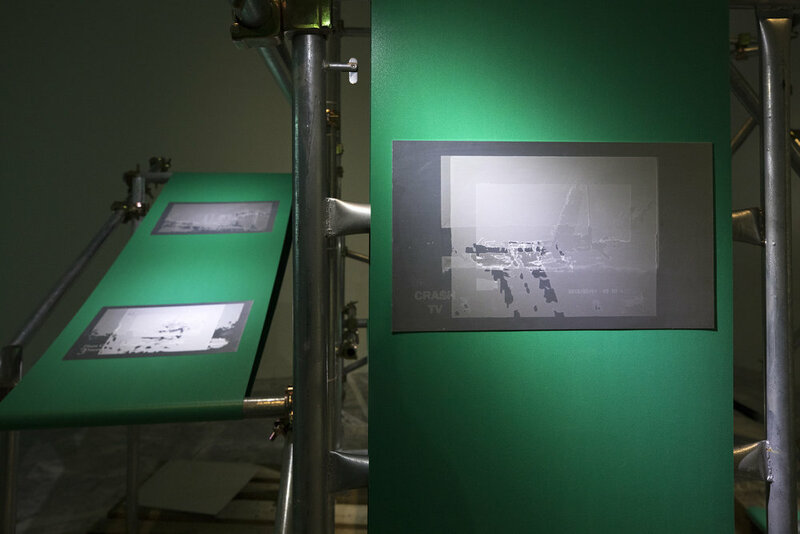 Through the technic of photolithography, the images are recycled onto their possible past/future alu- minum bodies. 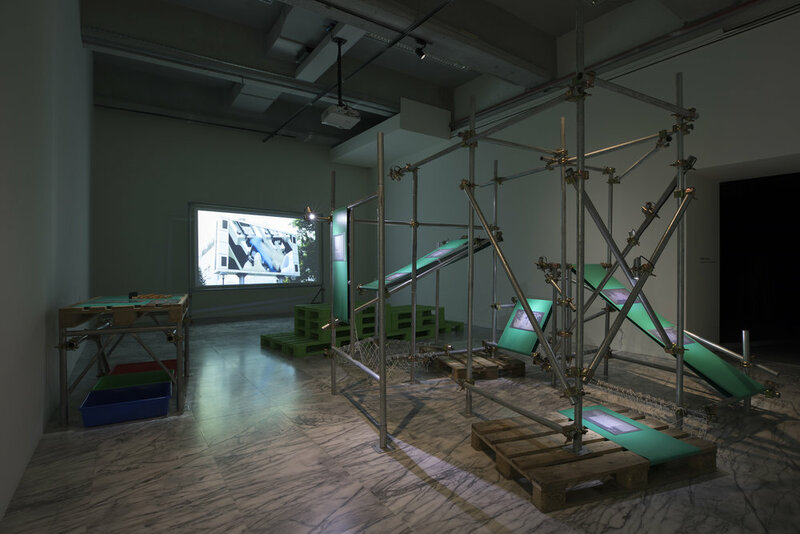 On one hand, the work tries to response to the acceleration under global technology industry. On the other hand, it reacts to the materiality of these images and conceives as temporary resting planes.